Toyota MENCS Daytona Media Day – Martin Truex Jr.
How do you feel about your brother, Ryan, getting the opportunity to race his way into the Daytona 500? Has it been a struggle for a lot of drivers with no room for error and strategy playing out in the Daytona 500? How many cars have a legitimate shot at winner? Was it easy transitioning to Joe Gibbs Racing this year? Looking back to 2016, could you have beat Denny Hamlin to the checkered flag? How frustrating is it trying to win the Daytona 500? Do you feel like the Ford cars have figure out how to race in a group at the superspeedways with how dominant they were last year? 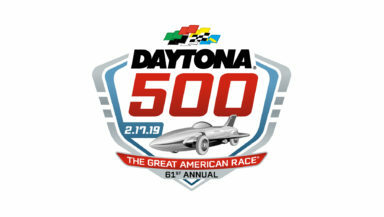 Do you think at the 1.5-mile and 2-mile tracks the racing will be like it is in Daytona? Is adaptability one of the most important skills for a race car driver? “It’s up there. It’s real high up there. I think if you look at most sports – football or baseball or whatever – you’re doing the same thing each week. Whether you go to a different state or whatever, you’re playing on the same field, you’re playing the same game, you’re doing the same things. We go to a different race track every weekend. The track changes throughout the race. The track changes throughout the year. Different styles of race track. Every track has a certain – there’s a certain way to get around it the fastest. The tires are changing. The rules are changing. You’re always – you can never sit still as a driver. You’re always learning. You’re always trying to get better because so much changes around you. You don’t just keep going back and doing the same thing over and over again. Do you think that’s enhanced this year with the significant changes we’ve seen? Does the ‘Big Three’ momentum carry over to this year? Do you feel like drivers are able to express their opinions on the new package with NASCAR leadership?